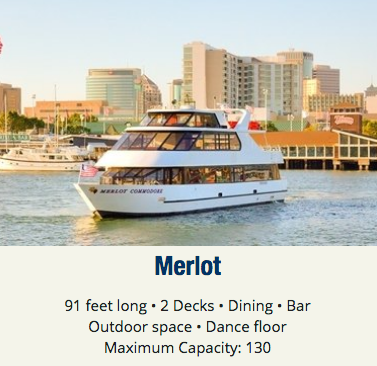 Leaving from Oakland's historic Jack London Square, the three-hour cruise will provide a chance to relax in the company of friends and colleagues, and to enjoy a casual dinner, music and refreshments. 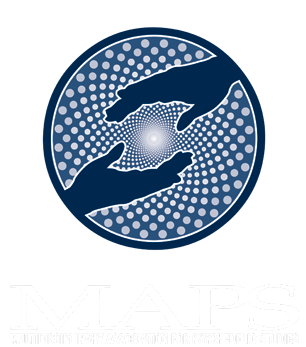 Panoramic views of the San Francisco Bay will provide the perfect backdrop to a historic gathering of like-minded people, where anyone with an interest in psychedelics will be able to mingle with researchers at the cutting edge of psychedelic science and medicine. 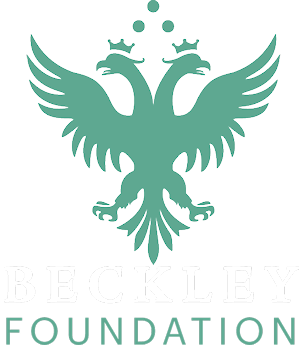 Researchers involved in The Beckley Foundation's latest studies will be in attendance, as will many of those presenting their work at Psychedelic Science 2017, making this an amazing opportunity to learn more about what's happening right now in the field of psychedelic research, and to discover how you can get involved with helping this research progress. Passengers will board one of two elegant luxury yachts—the Fume Blanc or the Merlot—in order of arrival. 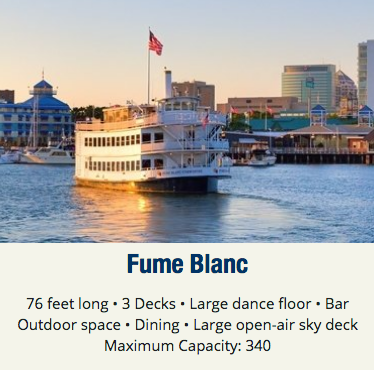 The Fume Blanc will board first, then depart, followed immediately by the Merlot. • Arrive at the docks at Jack London Square no later than 7:00 PM. All passengers must board by 7:30 PM. The ship's crews can not wait for late arrivals. • Wear warm clothes and bring a jacket since it may be cold and/or windy on the bay after sunset. • Bring your tickets, which you'll receive at Registration in the conference venue. You must have a ticket to board (no exceptions). • Starting at 6:00 PM, a free bus shuttle service will be available for Cruise ticket holders from the Oakland Marriott City Center to and from the dock at Jack London Square (and back afterwards). Shuttle service ends at midnight. Dinner fare will include hand-carved ancho chili rubbed breast of turkey, and three pasta options (trenne, gamelli, and tortellini salad), coffee and tea, and a cash bar with cocktails, beer, wine, champagne, sodas, and juices. Both ships will feature live instrumental performances and DJ's.